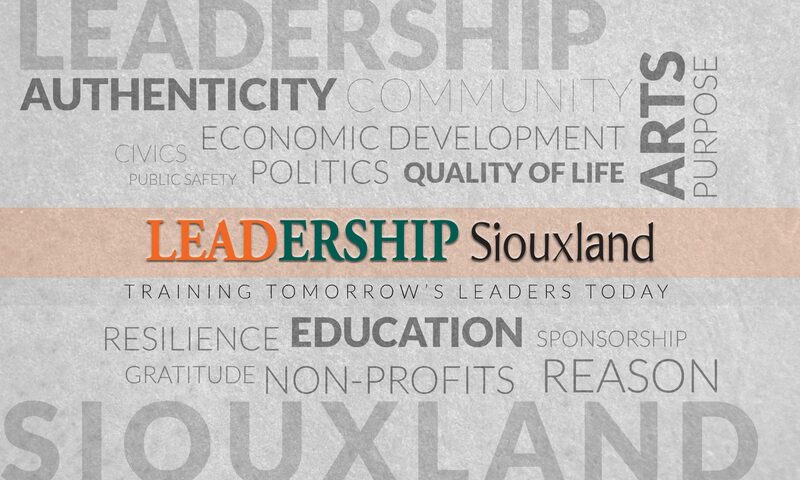 The purpose of Leadership Siouxland is to identify and train outstanding individuals representing diverse views and experiences to assume leadership roles in economic, cultural, philanthropic and civic development for the tri-state area. It is a highly structured, nine-month program (September-May) with graduation following completion of the program. Identifying and training outstanding individuals representative of diverse views and experiences to assume leadership roles in economic, cultural, philanthropic and civic development for the tri-state area. Leadership Siouxland was founded in 1984 by a group of individuals who saw an urgent need for potential leaders to meet, step forward and be given an opportunity to take leadership roles in the community. Although the organization started as Leadership Sioux City, it was quickly changed to Leadership Siouxland to truly support the needs of the tri-state region. Lynn Swanstrom, community volunteer, and Mike Arts, Sioux City Chamber of Commerce President, were integral players in the beginning. Arts first learned about the Leadership program while attending a community Chamber conference. Afterward, he met with Swanstrom, who was finishing her term as the Sioux City Junior League President. Swanstrom agreed to serve as Executive Director of Leadership Siouxland, a title she held for 15 years. Together they met with a host of individuals including business leaders, unions, community volunteers, laborers and non-profit agencies to buy into the Leadership program. With the support of community leaders and monies raised through membership, the first class was recruited and Leadership Siouxland began. In 2006 Amanda Beller was hired as Executive Director, a position she held for eleven years. In 2017 Peggy Smith assumed the Executive Director position. Today, hundreds of knowledgeable leaders have emerged in Siouxland with the skills and understanding to make an impact in this community, the place they choose to live, work and raise their families. A countless number of tri-state businesses, non-profits and others have been touched and assisted through this amazing experience known as Leadership Siouxland.